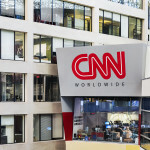 The tweet stands in stark contrast to the Trump administration’s actions in court on Monday. 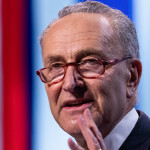 Senate Minority Leader Chuck Schumer (D-NY) on Monday listed comments from freshman Rep. Ilhan Omar (D-MN) alongside President Donald Trump’s praise of attendees at the neo-Nazi rally in Charlottesville in 2017 during a speech condemning anti-Semitism. 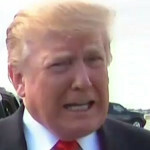 President Donald Trump’s re-election campaign sent a memo titled “Credibility of Certain Guests” to TV producers on Monday, urging them to “employ basic journalistic standards” when booking guests who, the campaign said, made “false claims” regarding evidence of Trump’s collusion with Russia. 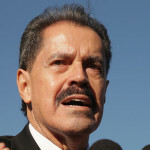 Rep. José Serrano (D-NY), who has represented the Bronx in the House of Representatives since 1990, announced Monday that he was “living with Parkinson’s disease” and would not seek re-election. 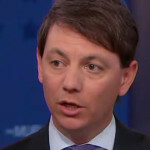 White House principal deputy press secretary Hogan Gidley said Monday that there had been “no discussions internally” at the White House about a number of potential pardons for Trump associates caught up in special counsel Robert Mueller’s probe. 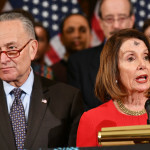 House Speaker Nancy Pelosi (D-CA) and Senate Minority Leader Chuck Schumer (D-NY) said Sunday that Attorney General William Barr’s summary for Congress of special counsel Robert Mueller’s final report “raises as many questions as it answers” and demonstrated that Mueller’s report ought to be provided in full to lawmakers. “The Special Counsel's investigation did not find that the Trump campaign or anyone associated with it conspired or coordinated with Russia in its efforts to influence the 2016 U.S. Presidential Election." 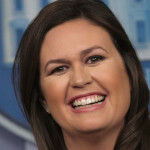 As we already knew, NO COLLUSION! Nothing different from what President @realDonaldTrump has been saying for the past TWO YEARS!! !